In the past several years, American University has opened the Don Myers Technology and Innovation Building, broken ground on a new Hall of Science, hired prominent new faculty, and established new degrees and concentrations in computer science, data science, information security, and more. At the same time, College of Arts and Sciences faculty have grown their research funding by more than 100 percent, winning nearly 50 awards from the National Institutes of Health and the National Science Foundation. Research is taking off at American University. As AU focuses on significantly growing its research excellence across the arts, humanities, and sciences, it has named Professor Kim Blankenship as Associate Dean of Research in the College of Arts and Sciences. In her new role, Blankenship will work to increase the amount of externally funded research at AU and enhance the university’s reputation for exciting, cutting-edge research. Blankenship, an AU professor of sociology since 2010, has served as chair of the Department of Sociology and the founding director of AU’s Center on Health, Risk, and Society. Her research focuses on the social determinants of health to create new policies and structural interventions to combat chronic health disparities. 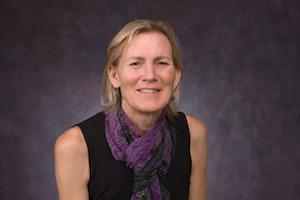 She is best known for her work on HIV/AIDS and currently serves as the co-director of the Social and Behavioral Sciences Core of the District of Columbia Center for AIDS Research. The Integrated Space Science and Technology Institute (ISSTI), directed by Associate Physics Professor Phil Johnson, is a research partnership between AU and local area institutions, including NASA Goddard Space Flight Center. ISSTI’s faculty represent a range of disciplinary expertise, including physics, chemistry, environmental science, engineering, and computer science. Their projects include topics in astrobiology, astrochemistry, heliophysics, and space-related technology development. The institute will also provide opportunities for students to work with faculty on these projects at AU and at Goddard Space Center. Finally, there is a new initiative being developed to bring together STEM Education, Equity, and Ethics. Blankenship’s own career has focused on sociology and the social determinants of health. She realized her love for the field as an undergraduate at the College of William and Mary. She entered college as a math major, but by her junior year she started to feel as though math was too abstract and far removed from the contemporary issues and struggles that interested her. “I had taken some sociology classes, and they exercised my brain in a different way and seemed to have a lot more relevance to issues that concerned me,” she says. Blankenship chose to focus on HIV/AIDS after finishing her dissertation work on class, gender, and race inequality during the early nineties. She was looking at court cases related to reproductive technologies, and a colleague pointed her in the direction of HIV/AIDS, because poor women of color were either being discouraged from getting pregnant or being encouraged to get abortions if they were pregnant and HIV positive. Intrigued, Blankenship helped conduct a local household survey of designated neighborhoods to find out more about residents’ knowledge, attitudes, and behaviors related to HIV/AIDS. Between her research, teaching, and her new role as Associate Dean for Research, Blankenship expects to be busy for a long time to come. But at the same time, she’s quick to point out the rewards of her work at AU.